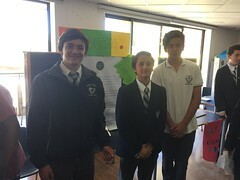 On Wednesday, October 4th, the Mackay School participated in the ESU Poetry Recitation Competition at St. George’s College in Santiago. 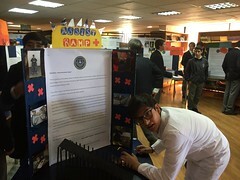 Baltazar Canepa from Sixth Básico, Clemente Venegas and Jose Ignacio Escobar from Seventh Básico, Felipe Otey and Pablo Tumani from Eighth Básico memorized and recited poems in front of peers and judges. The students practiced feverishly until the moment of their recitation, improving every small detail possible with the help of coach Christian Fetterman. They paid special attention to their tone, body language, and pronunciation. Every single rehearsal was an opportunity to focus upon a subtlety of the presentation in order to bring more life to the poems. Students presented in front of the judges with vigor and confidence, bringing together all the advancements they had worked on in practice. After presenting, they breathed a tremendous sigh of relief and eagerly awaited the results. Only two out of the fifteen students in each heat moved on to the semi finals. They were very pleased to get a chance to improve their public speaking skills. 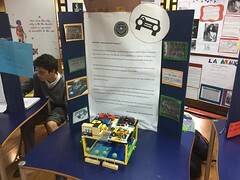 With this presentation under their belts, they will continue improving upon their tone, body language, and pronunciation to become powerful public speakers. 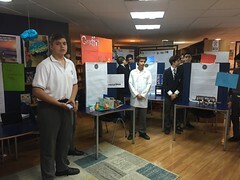 El miércoles 4 de octubre,The Mackay School participó en el Concurso de Poesía en Inglés de la ESU en St. George’s College en Santiago. Baltazar Canepa de Sexto Básico, Clemente Venegas y José Ignacio Escobar de Séptimo Básico, Felipe Otey y Pablo Tumani de Octavo Básico memorizaron y recitaron poemas ante sus compañeros y jueces. 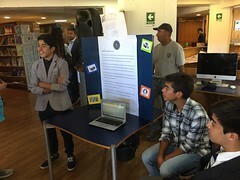 Los alumnos practicaron arduamente hasta el momento de recitar sus poemas, mejorando cada pequeño detalle con la ayuda del profesor Christian Fetterman. Prestaron especial atención al tono, lenguaje corporal y pronunciación. Cada ensayo fue una oportunidad para concentrarse en detalles de la presentación con el fin de otorgarle vida a los poemas. Los estudiantes se presentaron ante los jueces con energía y confianza. 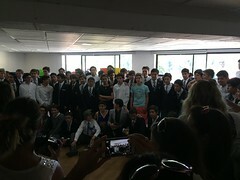 Sólo dos de los quince estudiantes en cada ronda pasaron a las semifinales. Los alumnos estuvieron muy contentos de tener la oportunidad de mejorar sus habilidades para presentarse en público. Nuestros mackayinos seguirán motivados para seguir practicando con su lenguaje corporal y pronunciación para así convertirse en poderosos oradores públicos.